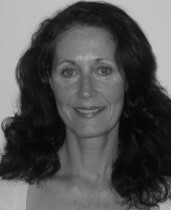 Nicola is a highly qualified and experienced physiotherapist specialising in rehabilitative and sports physiotherapy. 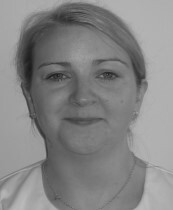 Trained at Cardiff’s Universal Hospital she holds a BSc in physiotherapy and MSc in sports physiotherapy. [/fusion_text]In addition to her physiotherapy training, Nicola studied acupuncture in Shanghai and has qualified as a Modified Pilates Instructor. Initially she worked in the NHS before moving into private practice and treating several elite sports men and women as well as spending two seasons working with Gloucester Rugby Club. [/fusion_text]Nicola believes that treatment should get you back to normal (or better than normal!) as soon as possible and she uses joint mobilisations, massage, acupuncture, electrotherapy and rehabilitative exercise regimes to gain effective results for her patients. One of her main aims is to ensure that injuries do not recur by giving advice on posture and positioning to avoid common strains. 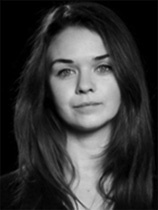 Annie studied at King’s College London and holds a BSc and MSci in Physiotherapy. She began her career working within the NHS gaining a broad variety of experience, but then seized the opportunity to work overseas, and spent 2 seasons working in ski resorts in Europe, and 3 years based at the top sports resort Club La Santa in Lanzarote. Here she worked with and treated a wide range of sports people from enthusiastic amateurs to Olympic athletes and elite triathletes. 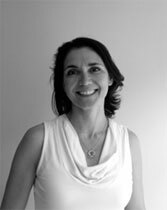 Since returning to the UK, she has worked within private practice specialising in musculoskeletal and sporting injuries. Annie is a very hands-on therapist and uses her wide experience to not only help to relieve pain and aid recovery for her patients, but to find the root cause of the problem to prevent recurrences or re-injury. She thrives on the challenge of treating every patient as an individual and working with them to achieve whatever their goal may be, from everyday functional activities to specific sports performance. Annie’s passion for health and well being also ties in with her sporting background, having played hockey for Wales and completed numerous Ironman events including the World Championships in Hawaii. Graham studied Shiatsu for two years with Mitsuki Kikkawa, an extraordinarily intuitive Japanese master, in Toronto, Canada. As his Toronto shiatsu practice grew, he studied craniosacral therapy with the Upledger Institute as it explained the skull movement he’d been feeling, and added another powerful technique to his therapeutic approach. After three years of practice, he decided to expand his ‘body of knowledge’, entering the physiotherapy program at the University of Toronto and qualifying in 1994. In 1995 Graham moved to Hawaii, founded Hadley Rehab in 1998, and for ten years ran a very busy practice. In 2008 he and his British wife moved to London to have new adventures. 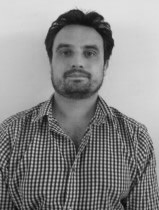 He is HCPC registered in the UK as a Physiotherapist and is a member of the Chartered Society of Physiotherapy. He looks forward to helping you feel better. Having worked for the NHS and Marie Curie as a registered nurse, Tom studied podiatry at the University of East London. 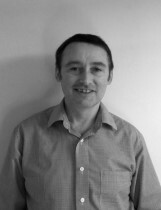 He was awarded a BSc in Podiatric medicine and joined the Tulloch Clinic in 2010. Tom treats most foot conditions including postural foot pain, corns, hard skin, cracked heels, verrucas, athletes foot and nail problems such as fungal and ingrown nails. Orthotics can be prescribed to treat many foot problems including arch pain, low arches, sports related problems and heel pain. Tom is registered with the Health Care Professions Council and is a member of the Society of Chiropodists and Podiatrists. Aidan has been practicing in the UK since qualifying as a podiatrist in New Zealand in 1997, during which time he has completed a Master of Science degree in Clinical Biomechanics. Aidan now specialises in musculoskeletal complaints and injuries of the lower extremity, gait analysis and orthotic/insole therapy. He has also recently gained a Politics, Philosophy and Economics degree. In addition to his work at the Roehampton Club Aidan is employed at Guy’s & St. Thomas’ NHS Foundation Trust as the lead Clinical Podiatric Musculoskeletal Specialist where he is involved in multidisciplinary care; providing podiatric intervention and management for orthopaedic, diabetic and rheumatologic patients. Nuala has been in private practice for 9 years treating a wide range of conditions including musculoskeletal disorders, tiredness, stress, anxiety, addiction/withdrawal, pain management and menopause. Nuala’s treatments are tailored to the individual. She works closely with patients to achieve better health, enhancing their feeling of wellbeing and promoting physical and emotional harmony. 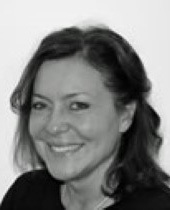 Nuala trained for 4 years to achieve a Bachelor of Science degree in Acupuncture at the London College of Traditional Acupuncture and is a member of the British Acupuncture Council. She keeps her skills up to date with post graduate studies and continued professional development including Balance Acupuncture for Pain, Facial Revitalisation Acupuncture and Acupuncture for Fertility. Mary has been practicing Reflexology since 1994. 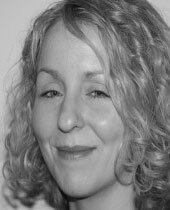 She joined the Tulloch Clinic in 1998 and in addition to Reflexology is qualified in Natural Lift Facial Massage. 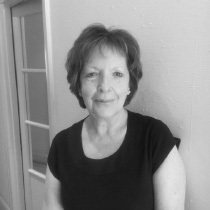 Mary is qualified in Advanced Reflexology and has attended many Courses including Meditation and Visualisation and adaptive reflexology in cancer patients. She is passionate about helping people maintain balance and reduce stress levels. Nicky has worked at The Tulloch Clinic since 2003 and has diplomas in Holistic Massage, Sports Massage and Management of Activities (sports injuries) from St Mary’s University. She is also qualified in functional rehabilitation, pre- and post-event massage, ultrasound therapy, taping and strapping and ergonomic workstation set-up. Nicky treats patients from a wide variety of sports and works at London Irish ARFC primarily covering matches and looking after the youth teams. She also treats those with more sedentary lifestyles who are suffering from postural issues. Nicky is qualified in Natural Lift Face Massage which can help to alleviate headaches, eye-strain, insomnia and jaw-related problems. After qualifying from St. Mary’s University College as an ITEC Holistic Sports and Pregnancy Massage therapist Eva gained experience treating people with a variety of muscular aches and pains including professional and recreational athletes, elderly clients and pregnant women. I have also found that massage therapy helps to reduce pain in clients with arthritis and certain neurological conditions. During her 8 years playing competitive tennis, Eva’s experience of suffering numerous injuries lead her to use various therapies as part of the rehabilitation process. She found massage particularly powerful in helping to manage her injuries and has been interested in massage therapy ever since. Eva joined the Tulloch Clinic in 2008 as a Sports Massage therapist and in addition is also working as a NHS Rehabilitation Assistant. As well as specialising in Sports Massage/Deep Tissue, Giuliana offers several other therapeutic approaches, such as Holistic Relaxing Massage, especially for Massage in Pregnancy and also Reflexology and Manual Lymphatic Drainage. Giuliana trained at St Mary’s University Strawberry in 2005. Her initial interest was in alternative therapies and after gaining an ITEC diploma in Reflexology she discovered that Holistic Massage complemented the therapies well and subsequently gained an ITEC diploma in this discipline. She has now also added Manual Lymphatic Drainage to her skills. With such a broad base and flexibility, Giuliana has been able to adapt her treatments to suit a wide set of needs. Alice has diplomas in Sports and Remedial Massage and Pregnancy Massage and is a member of the Institute of Sports and Remedial Massage (ISRM). She joined the Tulloch Clinic in early 2016. She is also a Yoga teacher which she finds complements the Sports Massage as the practice of Yoga works to realign the body, strengthen the core and calm the mind. She often recommends Yoga stretches and strengthening exercises following treatment for injury recovery and prevention. Alice’s treatments include Deep Tissue Massage, Soft Tissue Release, Muscle Energy Techniques and Pregnancy Massage. She aims to find and treat the deep root cause of any problem areas, breaking down fascia adhesions and scar tissue, thereby allowing the muscle fibres to move more freely and preventing further injuries. Clare has been working as a therapist for the past three years, having qualified in Sports and Remedial Massage Therapy. 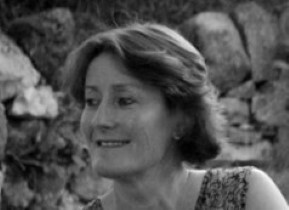 Her background in performance and fitness has equipped her with a strong awareness of the body, and how it best functions.Clare offers treatments for athletes, performing artists and anyone seeking to alleviate pain caused by chronic injury, postural misalignment or general stress. Her focus is on addressing the cause of the problem and working to relieve this, whilst ensuring the client leaves the session with a sense of wellbeing and relaxation. Clare offers Deep Tissue, Swedish and Sports Massage. She is also qualified in Pregnancy Massage, Cellulite Reduction & Detox Massage and Indian Head massage therapy. 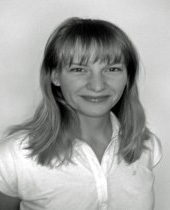 Christina has been practicing as a holistic therapist for 20 years. Starting out as an Aromatherapist and an intuitive masseuse, she went on to develop her skills with further training in Reiki, Indian Head Massage, Meditation and Reflexology. Her experience has included working at Yoga retreats, Hotel Spas and clinics in the UK, France and Spain. Her various skills enable her to offer deeply relaxing treatments which help to detox the mind and body and supports our resolve to get ourselves back to optimum health and happiness.